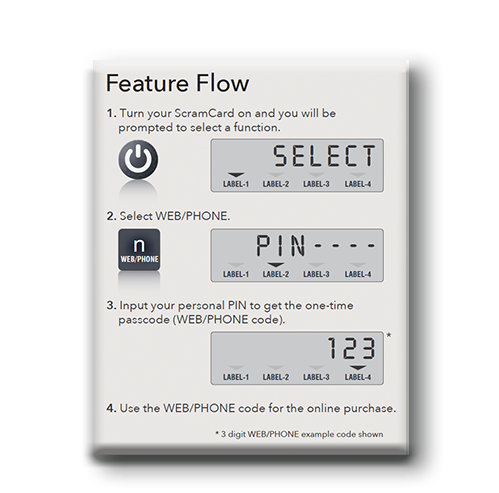 The features below represent financially inspired characteristics of the ScramCard device. Each feature delivers a method by which to address a financial exposure that would otherwise exist without it, with a variety of capabilities able to extend across multiple business lines. 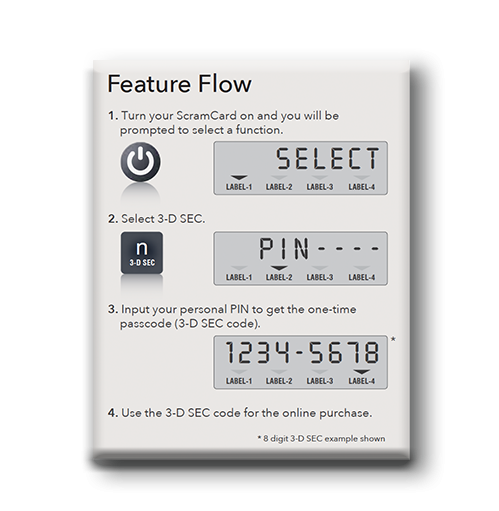 As a consequence, ScramCard can mitigate financial fraud that currently exists during card-present, card-not-present and/or funds transfer related activity, all within a single product. 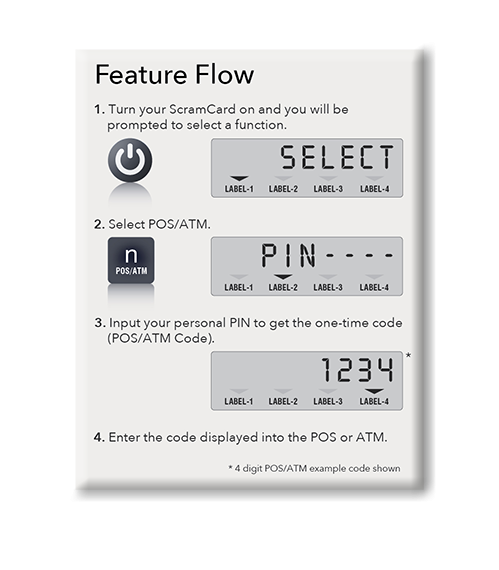 The use of a static PIN at a POS or ATM continues to represent poor security for card present transactions such as these. 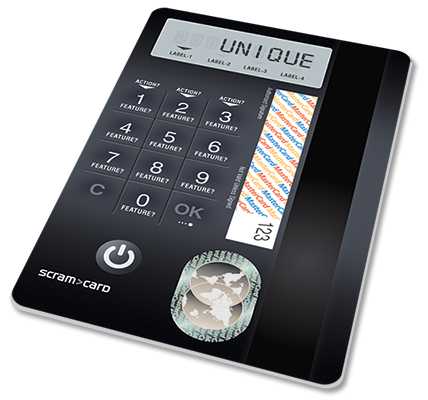 ScramCard introduces the use of dynamic PINs and thereby strips any fraudulently extracted details from the ScramCard device of any secondary or intrinsic value. 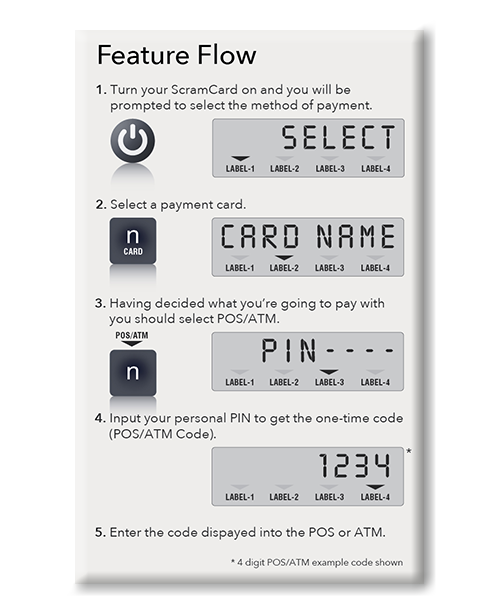 To suggest consumers take the necessary steps to prevent others from seeing the PIN they’re inputting at a POS or an ATM is not something they should be managing on behalf of their bank. This also reinforces the view that the use of a static PIN is no longer a viable solution. 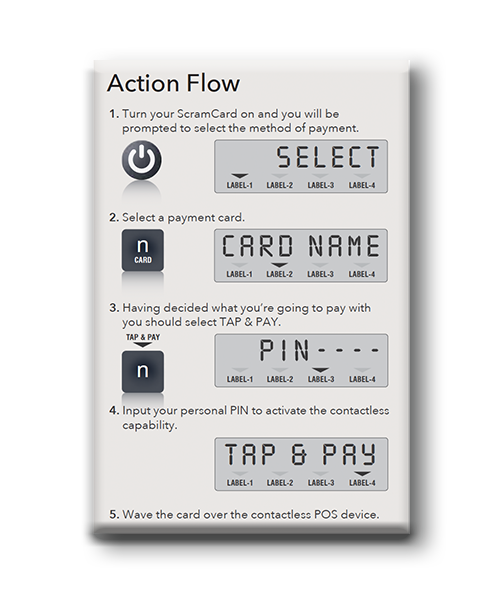 Contactless payments are a convenience that customers are increasingly warming to but the value of a given transaction is limited due to the absence of any security. 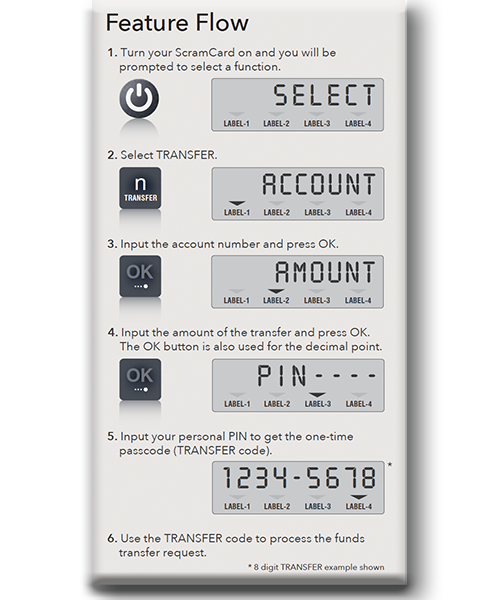 ScramCard’s contactless PIN validation ensures that the convenience of such payments is not at the expense of security. 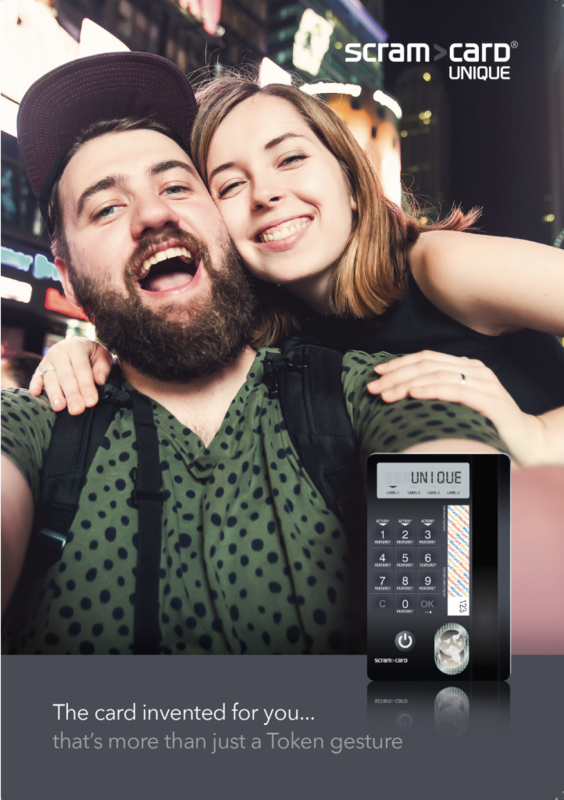 ScramCard provides effective security for all contactless payments, utilising the funds from payments cards that would otherwise not have such protection. The introduction of security based contactless payments reasonably substantiates justification for removing the low transaction limits. The introduction of dynamic security codes for online payments provides effective security for all merchants, without any need for changes to the shopping experience. 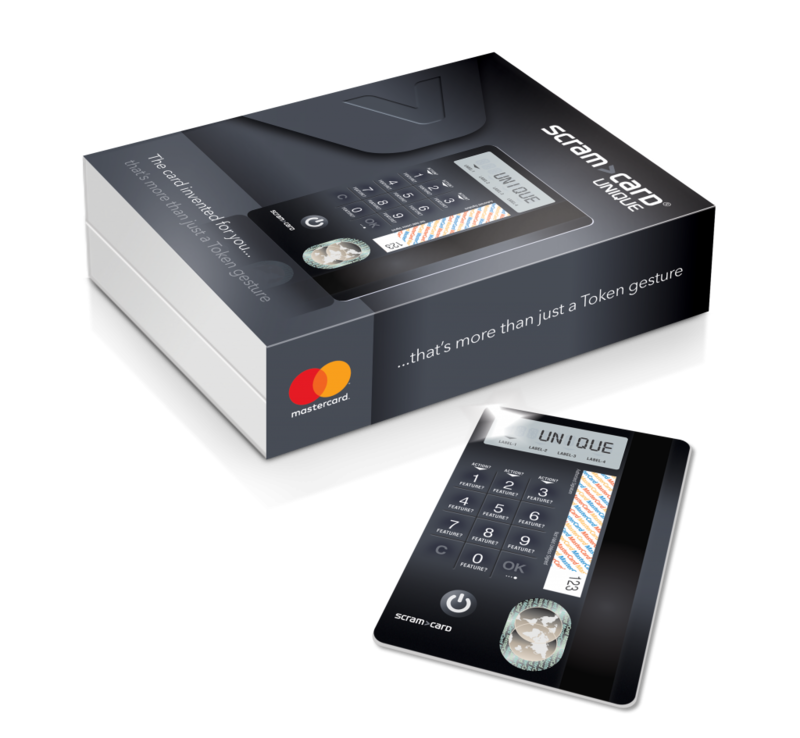 The introduction of this feature removes the risk associated with card-not-present transactions because the ScramCard is needed at all times. 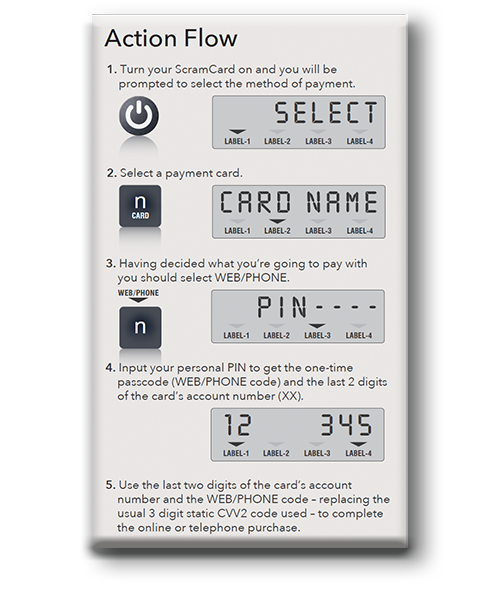 The introduction of dynamic security codes for telephone shopping negates the risks of the card details being used for fraudulent purposes. 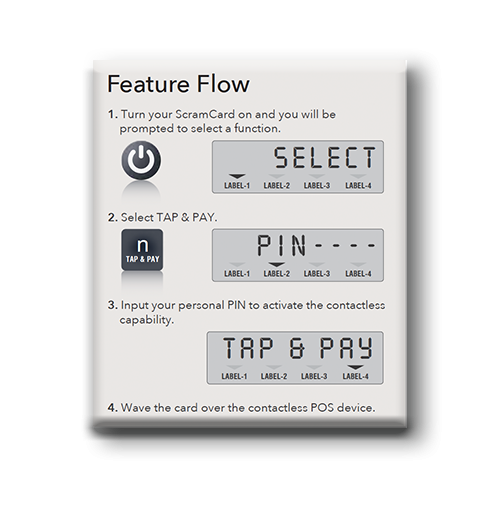 The introduction of this features means that all methods of payment are card-present ones with card-not-present activity becoming a thing of the past.